BernerPaw is the "Internet home" of Nancy and Gary Galunas. 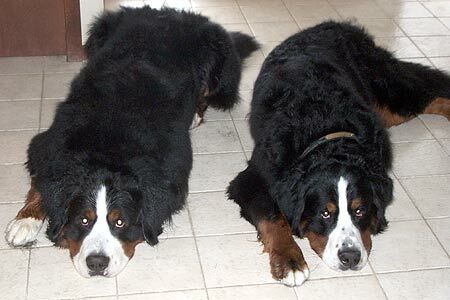 This site is designed around our Bernese Mountain Dogs and all we do with them - both in competition and just "hangin out". These pages were created for the pure pleasure of doing it and we hope that you will find a few interesting items to enjoy. Eiger and Snickers relaxing after their Christmas baths.